A female aged 40 years presented loss of appetite with persistent nausea. She was not able to eat well. She passed yellow urine and sweat also stains yellow. Initially had yellow nails and eyes. Secretions were dark yellow. 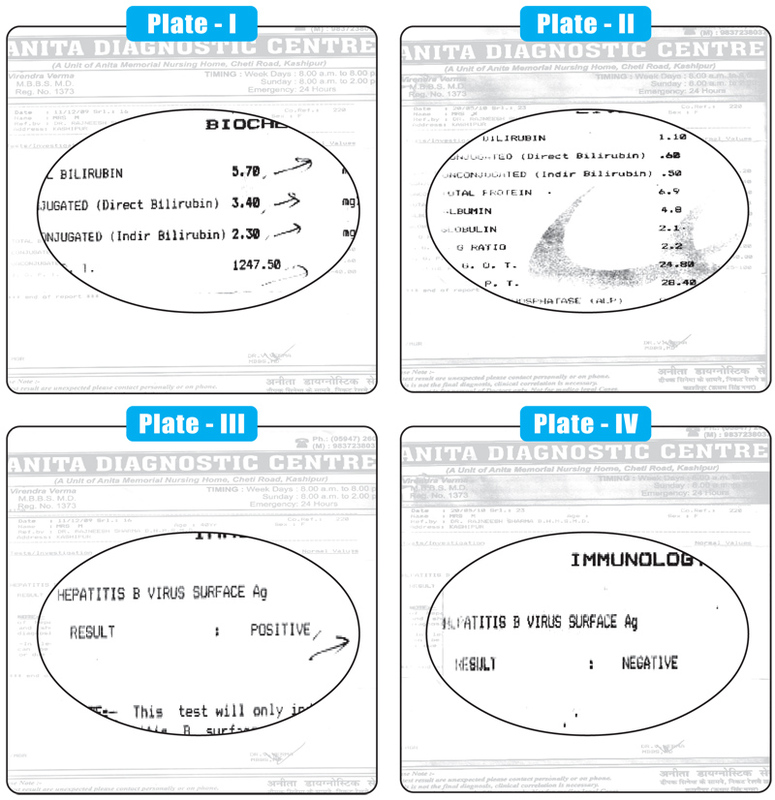 Her urine test and blood parameters, Liver function tests and HBsAg screening, typical case of Hepatitis B. Appetite – Decreased, but eats well after starting to eat. Desire - Craving hot, sweet foods. Craving for open air. Menses - Scanty, mild acrid leucorrhoea instead of menses. Mental state of patient was very anxious, hurried and weeping on slightest sympathy. Desire to be alone. Silent attitude. Sad, and gloomy. Icterus- The eyes and nails were yellow, general debility. Anxious worried look. HBsAg Screening- Hepatitis B virus Positive. Better. Advised repetition of the blood tests. But she refused for financial problems.